Exercise is amazing! It boosts our mood, improves our bodies, and in general makes us healthier. But, if you have diabetes (Type 1 or Type 2) you’ll know that even something as simple as exercise isn’t so straightforward. This is our guide to running with diabetes, to help you get going in a healthy, safe way and reach your fitness goals. As you most likely already know diabetes comes in three types––Type 1, Type 2, and Gestational diabetes. Each has its individual features and treatment methods to ensure you stay healthy. But for those of us who are not so familiar with these terms let’s do a quick run-down. 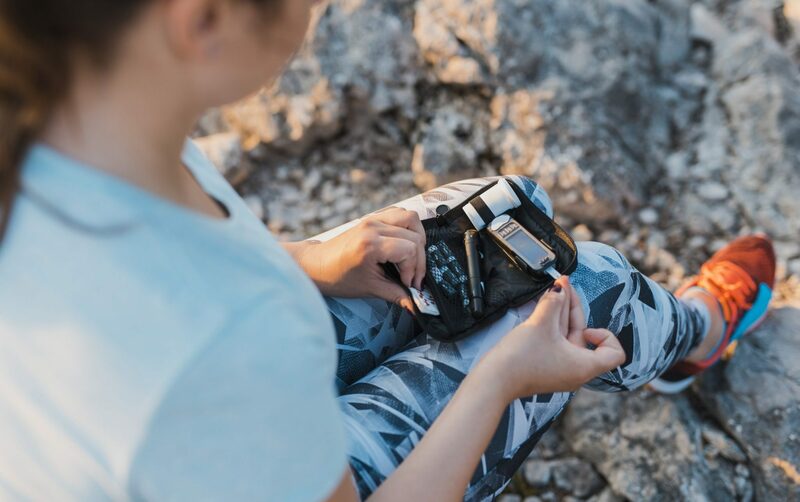 Type 1– normally occurring in childhood, but may also appear later, this type of diabetes means your body does not produce sufficient insulin levels to maintain your blood sugar at a normal level. Type 2– more common than Type 1 and Gestational diabetes, Type 2 represents around 90% of all people with diabetes. With this type, the body becomes insulin resistant leading blood glucose levels to rise, and the body to release even more insulin, worsening the problem. Gestational diabetes– a rare form of diabetes that can occur during pregnancy, gestational diabetes or GDM leads to a pregnant woman experiencing high blood sugar during gestation, putting both mom and baby at risk. No matter which type you have, whether you’re running with diabetes Type 1 or running with diabetes Type 2 or even with the gestational variant, you need to be extra careful how you treat your body when you undertake any exercise activity. Make sure you adequately nourish your body before, during and after your run. When you have diabetes it’s important to keep healthy be it a short jog or a full-blown marathon, and eating an appropriate diet is a huge part of that. Starting to feel a little off? Then it’s time to sit down and check that blood sugar. Test as many times as necessary to ensure you are in the right condition to run with your diabetes. If your blood sugar is too low or too high, wait it out and adjust your diet to make sure your body can take it. Don’t push yourself too hard; instead, get to know your limits and stick to them. That said, exercise can help ease the symptoms of your diabetes overall, making a run one heck of an exercise to do. While you shouldn’t expect miracles overnight, you should stay with it to improve your overall health. Regardless of what brand of diabetes you have, before hitting the streets for your run, you’ll need to be ready! Make sure you have them with you, just in case. This one of those times where you have every excuse in the world to shop for a stylish bag––backpack or bumbag––to bring along with you. In that case, you’ll need to snack prep like a pro. Pack some safe snacks in your bag and consider adding some glucose tablets to ensure your bloods are on a level. 3. Inform, communicate, and let others know. Diabetes isn’t shameful, nor should it be a secret; when you’re out on your run, the first thing you want to be is safe, so ensure others know (or can quickly learn if they need to) that you have diabetes. Consider adding a stylish medical alert bracelet or even take the plunge and get a fresh, yet informative, tattoo. 4. Tell someone where you are. This applies whether you have diabetes or not. 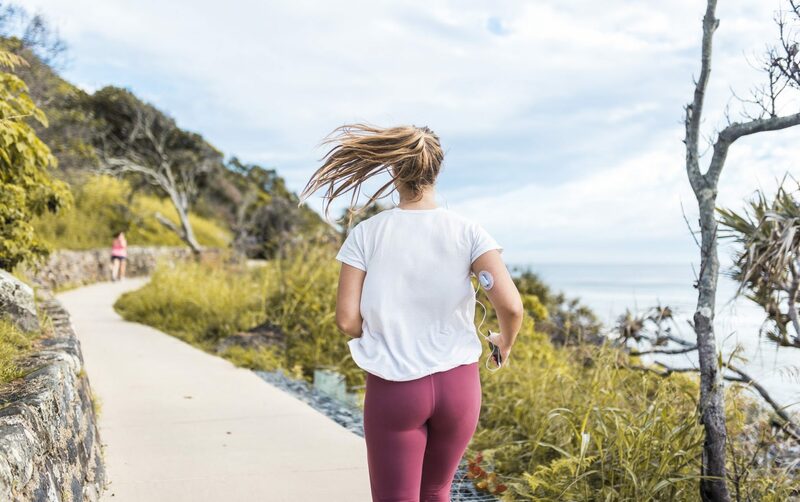 Make sure someone knows your exact location when you go on your run, and what time approximately to expect you back; helping to cause your family a lot less worry and you a safer run. 5. Kit yourself out with the best footwear. One of the things that may not immediately come to mind when you think diabetes is proper footwear. However, especially for people with diabetes having sturdy running shoes is essential as diabetes can affect your feet due to peripheral nerve dysfunction, leading to all kind of feet related issues. So, time to get buying those sleek new running shoes.